Tell us about your dream Vietnam Tour. We will tie you up with 3 top Austria travel specialists who’ll compete to plan your custom trip in the best way possible. A land of astonishing beauty, Vietnam is a spectacular and scenic travel destination. With the stunning collage of mountains & deep valleys, deltaic creeks, sparkling white sand beaches, river & seas, sand dunes, sanctuaries, national park and monuments, Vietnam is a complete package in itself. A Southeast Asian country on the South China Sea, this country is known for its pristine beaches, exquisite Buddhist pagodas and babbling rivers. Be it a beach lover, leisure seeker, mountain goat, an adrenaline junky or a history buff, Vietnam is a complete destination for everyone which is becoming better each passing day. A visit to Vietnam is like an adventure of its own. Cheap Vietnam tours - A 3 Days Northern Vietnam Trip! Vietnam Travel Guide - The Ultimate 8-Days Vietnam Trip! Ways To Travel Smarter In Vietnam - 3 Places You Must See! Vietnam Travel Guide: Exploring this Beauty in the Lap of Earth! A land of astonishing natural beauty, dynamic megacities, hill-tribe villages, and cultural complexities, Vietnam is both compelling as well as exotic. A Southeast Asian country situated on the South China Sea, Vietnam is known for its bustling cities, Buddhist pagodas, rivers, and beaches. The capital city, Hanoi, pays homage to the country’s legendary Communist leader, Ho Chi Minh, through a giant marble mausoleum. Ho Chi Minh City, which was formerly known as Saigon possess French colonial landmarks, as well as the CU Chi Tunnels which is used by Viet Cong soldiers and also Vietnamese War history museums. Spectacular experiences exist at every corner in Vietnam. Gazing over a dreamlike seascape of limestone islands from the deck of a typical junk in Halong Bay is a sublime experience. Exploring the world’s most splendid cave systems in Phong Nha-Ke Bang National Park is an inspirational experience. Immersed in history and packed with places for eating, shopping, and opportunities for photo click at almost every step, these are must-do things in Hanoi. Cars, scooters, trucks, and buses, you will come across streets where only hardware is sold, only kitchenware is sold, or only bamboo is sold. These are the remains of ancient times when the whole towns from the countryside shifted to Hanoi and set up shops as they had in their home towns. As others shifted to town they would move to the street that specializes in their particular craft and some of these remain today as well. Vibrant, loud, lively, and energetic… Hanoi’s experience is an incredible one. Around 40 years after the massacre and destruction of an era that defined war, today Vietnam is a determined nation and not a conflict in front of the world. Confident and fast-progressing, its development is quite evident in the nation’s flourishing metropolises. The allure of Vietnam is easy to admire as ancient, labyrinthine trading quarters of still-flourishing craft industries that are in contrast to grand colonial mansions from the French era, all of which is visible from the skybars of 21st-century high-rise buildings. Thailand may grab the top spot, however, nothing comes close to Vietnam in Southeast Asia when it comes to food. Unbelievably subtle in flavors and incredible in its diversity, Vietnamese cooking is a captivating draw for tourists - plenty of cooking schools and street food tours are proof of this. Geography plays a significant role, with Chinese flavors influencing the northern soups, spices stimulating southern cuisine, and complex techniques as well as herbs representing the central coastline, rightly famous as Vietnam’s epicurean hot spot. Moreover, one can connect with villagers up and down Vietnam, try local dishes and sample rice wine in the country’s many regional markets. If you have enough money, Vietnam has all kinds of thrills and chills you must be looking for. Some of it requires a little physical effort, like motorbiking excursion after the breathtaking Hai Van Pass in central Vietnam. Others require even more physical efforts such as hiking the evergreen hills around Sapa or Bac Ha or kitesurfing the tropical ocean waters off Mui Ne. When you are done with all these adventurous stuff, there’ll be plenty of horizontal ‘me time’ for you to relish. The country has some of the exceptional spas - from simple massage salons run by families to marble temples of treatments with tourist-friendly rates. A perfect blend of the past, present and future, Vietnam is a land of spectacular landscapes that range from forested mountains in the north and lush rice terraces to the scenic valleys of the Central Highlands and the gorgeous beaches of the south. Also included in the mix are exotic modern cities, traditional villages, otherworldly islands, mysterious caves, colonial towns and archaeological sites. Stroll the Old Quarter of Hanoi: Situated in northern Vietnam, Hanoi is truly a delight to meander. The Old Quarter is the major attraction of Hanoi. It can be a bit disorderly, with clustered streets and sidewalks, colorful, exotic food and motorbikes hurtling everywhere. But this all is going to be a part of the experience. Traverse the Phong Nha Caves: There is a collection of caves in central Vietnam to explore. And these are not the small, boring ones, but the biggest cave in the world. In the year 1990, a local Vietnamese man discovered the Son Doong Cave. It was rediscovered by British caving experts in the year 2009. Son Doong Cave happens to be the largest cave in the world. It is so huge that an entire jungle grows inside it. However, getting here is not an easy task. There are many good luxury Vietnam tour agent who can plan your trip here in a smooth way. They offer short treks to other caves as well in the area. Walk Through Hanoi: If you are someone who is visiting Vietnam for the very first time, it is advised not to make Hanoi your first stoppage. It can be surely mind-blowing at first, but that’s also a part of its charm. You may wish to visit more quaint cities such as Hue or Hoi An before you visit Hanoi. Take a lesson in History at the Cu Chi Tunnels: The Cu Chi Tunnels are a massive network of tunnels which were used during the Vietnam War by the Viet Cong. The methods and tricks used by the Viet Cong in order to bewilder and perplex American soldiers are astonishing. A visit to the Cu Chi Tunnels is an engrossing history lesson that even kids find quite fascinating. Try Vietnamese Cuisine: Vietnamese food is absolutely delicious. It varies from the north to south, with different cities specializing in different cuisines. While in Hanoi, try out sweet, sticky rice, bun cha which is grilled pork with noodles, fried dumplings and turmeric fish with dill. In Saigon, dine on banh tam bi (a dish of thick noodles with pork and coconut cream sauce) and banh mi which is Vietnamese baguette sandwich. In Hue, try out the Bun bo Hue, while in Hoi An, have a taste of Cao Lau. And no matter where you go, the Pho is absolutely mouth-watering. 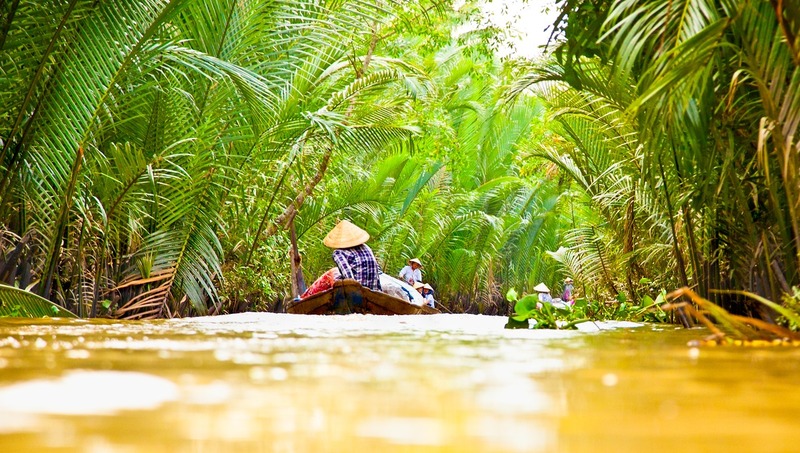 Enjoy a Cruise ride through the Mekong Delta: The Mekong Delta is situated at the most southern reaches of Vietnam and is also known as the “rice bowl”. The Mekong River makes its way through Southeast Asia, beginning in China, flowing past Laos and Cambodia, and ending here ultimately, before disposing of into the South China Sea. In this southern part of Vietnam, the Mekong sends out various rivers and tributaries, forming a vast network of canals. These canals connect rice farms with towns, which is a tropical maze and is a delight to explore by boat. Spend a day or a week and visit this vibrant, buzzing part of the country. Enjoy a tour of Hue's Imperial City: From the year 1802 to 1945, Hue used to be the seat of the Nguyen Dynasty. Explore the Imperial City, which looks like a tiny version of the Forbidden City in Beijing, China. There are also plenty of tombs here to visit. Have an experience of trek in Sapa: In the south, there is this hot and steamy Mekong Delta. On the other hand, a cool and misty Sapa in the north. This is one place to go for trek over rice terraces and to traverse the hill-tribe villages. Lovely tiny Phu Quoc Island: Phu Quoc is a tiny, tropical island that is quite nearer to Cambodia as compared to the mainland Vietnam. Vietnam possesses a number of gorgeous beaches but this is one place to actually get away from the noise of the rest of the country. While deciding the best time to plan a Vietnam tour, take into consideration the tropical monsoon climate of the country, which is dominated by the south or the southwestern monsoon that start from May till September and the northeast monsoon from October till April. The southern summer monsoon carries rain to the two deltas as well as west-facing slopes. On the other hand, the cold winter monsoon collects moisture over the Gulf of Tonkin and drop it along the central coast as well as the eastern edge of the central highlands. Within this fundamental pattern, there are pronounced differences according to latitude and altitude. In the south, temperatures remain constant all year round, while the north experiences discrete seasonal variations. Northern Vietnam - Generally, Northern Vietnam remains warm and sunny from October-December. Afterward, cold winter weather sets in, which is accompanied by fine persevering mists which can last for a number of days. In March, temperatures again begin to rise, raising to summer maximums that sometimes reach 40°C between the months of May and August, although the average temperatures in Hanoi flutter around a more reasonable 30°C. Summer, however, is also the rainy season, when downpours restore the low-lying delta area almost intolerably hot and sticky, while flood is a usual hazard. The northern mountains experience the same basic routine, though temperatures are significantly cooler and high regions witness ground frosts or even snowfall during winter, i.e. Dec-Feb.
Southern Vietnam - The dry season in southern Vietnam lasts from December to late April or May, and the rains last from May till November. Since most rain descends in short afternoon downpours, this need not be unpleasant, although flooding at this part of the year can lead to problems in the Mekong Delta. Daytime temperatures in the area seldom drop below 20°C, sometimes striking 40°C during the hottest months like March, April, and May. Generally, the climate of the central highlands follows the same pattern, though temperatures tend to be cooler, particularly at night. The monsoon rains of May till October can cause complications in transport, occasionally washing out roads and clipping off remote villages. Central Coast - Along the central coast, under the influence of the northeast monsoon, the rainfall pattern reverses. The wet season starts around Nha Trang, with a shoot up in November and continues through December. Further north, around Da Nang and Hue, the rain lasts longer, from September till February, so visiting these two cities in the spring, i.e. Feb-May is worth it. With such a complex weather picture, there is no one specific season as best to visit Vietnam. Probably, the overall spring, March-April and autumn, September-December are the most favorable seasons to plan your Vietnam tour. In Vietnam, lodging is not an issue, even if you are traveling on a tight budget. Accommodations here range from scruffy $6 a night early 20th-century accommodation in backpacking hostels to international-standard resorts, both in major cities and in well-known coastal and rural destinations. Backpacking hostels, as well as budget hotels, are often clean and nice in Vietnam as compared to that in neighboring countries like Thailand, Cambodia and Laos. Even cheap hotels that charge around $8-10 for a double room are often clean and equipped with clean white sheets, towels, disposable toothbrushes, soap and so on. In hotels that cost a few dollars more, i.e. $12 per room and more in Hanoi, one can easily expect an en suite bathroom, air conditioning, television, and telephone. In Vietnamese hotels, mini-refrigerators are often stocked with snacks and drinks, just like in hotels elsewhere in the world, however, these can be terribly overpriced and it would be much better to buy such items on the street itself. Adequate plumbing can be an issue in some hotels but the standard is improving constantly. With unbelievable abundance of fresh vegetables, herbs, fish and seafood, Vietnam has a lot to offer. It can be mentioned here a range of widely- admired dishes such as noodle served with beef or chicken( pho), spring roll, eel or snail vermicelli, crab fried with tamarind, crab sour soup, rice spaghetti, steamed rolls made of rice-flour, rice pancake folded in half (and filled with a shrimp, meat and soya bean sprouts), etc. At the same time, the Vietnamese are surprisingly modest about their cuisine. (And old proverb/joke says that a fortunate man has a Western (French) house, Japanese wife, and Chinese chef.) High-end restaurants may serve 'Asian-fusion' cuisine, with elements of Thai, Japanese, and Chinese mixed in. The most authentic Vietnamese food is found at street side 'restaurants' (A collection of plastic outdoor furniture placed on the footpath), with most walk-in restaurants being mainly for tourists. Definite regional styles exist -- northern, central, and southern, each with unique dishes. Central style is perhaps the most celebrated, with dishes such as mi quang (wheat noodles with herbs, pork, and shrimp), banh canh cua (crab soup with thick rice noodles) and bun bo Hue (beef soup with herbs and noodles). Upon arrival, check all of your documentation and make sure you bring the visa-on-arrival pre-approval papers, photos and cash with you. EUR and USD will do (although with ridiculous conversion rates). For tourists, rural Vietnam is a relatively safer place than urban Vietnam. Street crimes of the low level such as bag snatching occur regularly in major cities such as Saigon and Hanoi. Few instances of knife attacks while robbery has also been reported. Avoid any arguments and fights with locals, especially with groups. Know that yelling is seen as quite insulting by Vietnamese, so they may react in an unexpected way in such a situation. As a foreigner, you are expected to act in a certain way by the Vietnamese in their country. You should respect this fact. Most of the arguments can easily be avoided by showing general courtesy and acknowledging cultural differences that might appear rude to you. Health issues, as well as the quality of medical facilities in Vietnam, vary immensely depending on the area. The major cities are usually not on high risk and possess good facilities, though things are different in rural areas. Tourists in Vietnam worry about contracting infectious diseases, but serious ailments are rare. Accidental injury, especially traffic-related constitute most life-threatening problems. That said, sickness is a comparatively common thing. Understanding about a country’s culture and religion is critical so as to avoid any embarrassing situations. Everyone’s worst nightmare is offending the locals accidentally. Vietnamese people are extremely proud of their culture and heritage, and this is demonstrated in the social conventions and customs that you’ll encounter. Having prior knowledge of Vietnamese customs and traditions will ensure a smooth experience on your Vietnam tour. In Vietnamese society, elderly people always have the right of way and should be treated with utmost respect. Make sure to always address the eldest first in a group. People in Vietnam are expected to share good fortune with their friends. This ranges from anything from getting a new haircut to purchasing a new motorbike. This particular custom is known as “cleansing”. The Vietnamese people are usually very polite to foreigners, especially Americans. People in North Vietnam tend to be more polite, reserved and tactful as compared to southerners, who are more open, direct, outgoing and sometimes even a little rude. In Vietnam, respect social hierarchies and deduce the concepts of “face” and “collectivism”. Dress more conservatively while in public than you would at home, ideally covering your knees and shoulders. Pass on items using both hands, smile, wave and say xin chao which means ‘hello’! Leisure.com is an online platform created for all the travel-enthusiasts. It helps people who wish to travel through the world by organizing their trips in the best way possible. The platform fulfills their clients trip requirements throughout the world covering almost all the continents. We have specialized tour agents for Asia, Australia, Europe, and other parts of the globe. Leisure.com makes sure to not miss any of the countries that are of tourists interest. It has filtered out some highly experienced and skilled Vietnam tour agents. These will provide their best help to the ardent travelers who are looking to plan their trip to Vietnam. They plan each and every part of the trip, from choosing the best time to visit Vietnam to accommodations and everything. Apart from this part of Asia, Leisure.com also has some well-skilled India tour agents, China tour agents, Bhutan tour agents, Japan tour agents, Bali tour agents, and much more. Just fill out the Trip Request Form and let us plan the most memorable trip of your life. The Leisure team assures of an outstanding travel service that’s hard to find anywhere else. 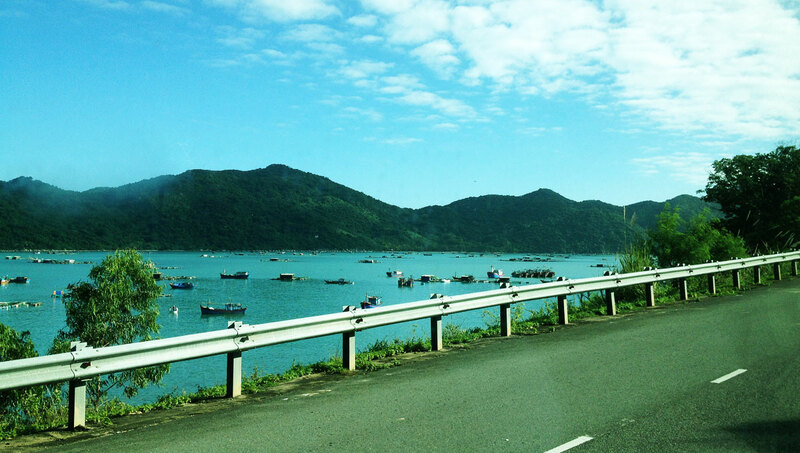 Travel Review: Fun-filled Family Trip to Vietnam & Cambodia, Hue, Hoi An, Hanoi, Danang..